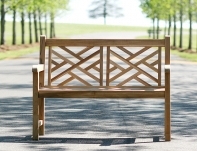 Outdoor teak furniture is a big investment that stays with your family for generations. Teak is the hardest, most durable and strongest of the hardwoods, making it the perfect material for outdoor furniture that lasts a lifetime. At Teak Furniture Outlet, we carry only the top teak brands, offer the best customer service in our industry, and we stand behind what we sell. Teak Furniture Outlet is committed to green policies by working directly with the wood suppliers that make all top-grade teak from government-controlled plantations in Indonesia. This helps to ensure that we, and you, are not rewarding illegal and destructive activity. 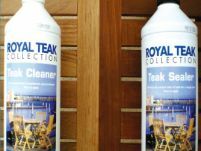 Please check out our teak cleaning section of our site. You will find top quality Semco Teak Sealer and Semco Teak Cleaner in gallons, quarts and kits. If you prefer to keep your teak the original honey tone color, the Semco Teak Sealer is a must have for your teak furniture collection. 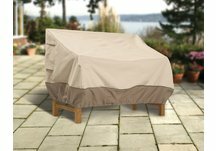 Along with our own line of Highland Taylor teak, we have also partnered with several other teak suppliers to bring you a wide variety of teak furniture to suit all your outdoor patio needs. If you are looking for a certain style of teak, feel free to contact us, and we may be able to find the style you want. With a Low Price Guarantee, Teak Furniture Outlet overshadows competitors who post outrageous prices with markups as high as 300 percent over actual costs. If you find the same design, dimensions, weight and grade for less somewhere else, we will match their price along with their shipping charge. We will also include an additional 5 percent off! -Mary Lou from Ashburn, VA.